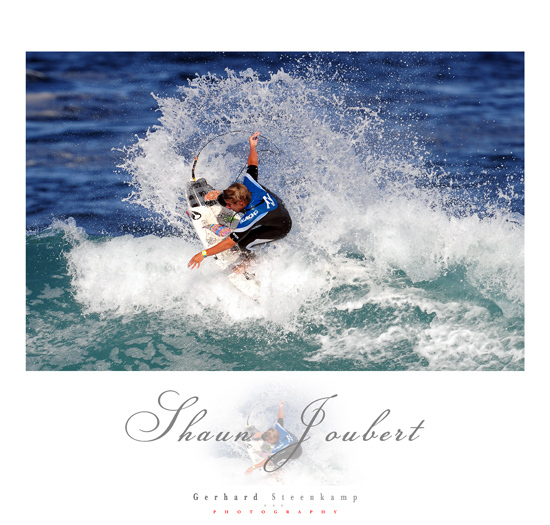 Ran into SA top junior surfer, Shaun Joubert at The Point in Mosselbay. Though the light was great the waves were not the best i have seen but i got away with a few nice images anyway. I used my Nikon D3 and the Nikon 400mm F2.8 fitted with a 1.7 converter. Smart frame, in photoshop gemaak ?